The Yarn and Fiber Company is proud to announce that a lace workshop with Galina Khmeleva will be held in the beginning of the week of July 20 (right before TKGA). Galina and I are still working on the format of the workshop and the exact dates but it is sure to be a wonderful class - she is awesome! Please give me a call if you would like to be added to the call list - this will be a first come, first serve class and is sure to fill fast - 603-898-5059. If you are coming from out of state and need help with hotel bookings, etc. please let me know and I happy to help on this end. So extend your stay for TKGA and enjoy Lace with Galina, then onto the TKGA 10 miles up the road. What a great week! The Alpaca Yarn Company strives to bring you the finest and most luxurious alpaca yarn products found anywhere. Alpaca fiber is hypo-allergenic. That means that people with wool sensitivities can wear it. Alpaca is a hollow core fiber so it keeps you warmer than wool when you need to be warm, but breathes when you need to be cool. Alpaca fiber can be as fine as cashmere. 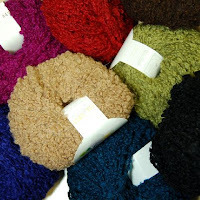 We have a wide range of alpaca yarn products to satisfy every fiber artist. 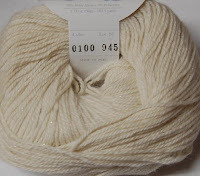 Suri Elegance is a lustrous, elegant 100% suri alpaca lace weight yarn. Each 100 gm hank is approximately 875 yards. The gauge = 28 st / 4" (7 st/1") using US #3 (3.25mm) needles in lace patterns. The companies Schoeller Eitorf AG and Kammgarnspinnerei Süssen Gebr. 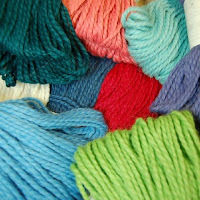 Stahl GmbH & Co have been active in the hand knitting yarn market for over 150 years. 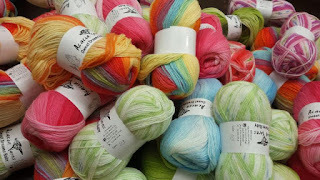 Schoeller and Stahl are happy to bring us Fortissima Sock Colori Yarn. Those who want to do their sore feet a real favor wear soft, cosy and warm socks. And if the socks happen to have been knitted by someone special, it should be considered a special sign of their appreciation. 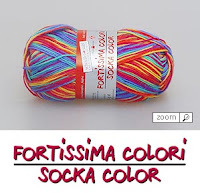 They have developed Fortissima/Socka – our popular sock yarn, for occasions like these. We use only the finest raw materials which are then processed at the highest level possible. Due to the high percentage of virgin wool, Fortissima/Socka is particularly soft and very supple. You’ll notice the moment you start knitting. The sock yarn is also, of course, a wash-and-wear product, which means hand-knitted socks will pamper you for a long time to come.